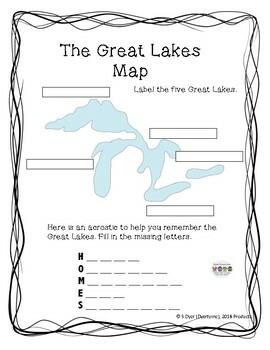 The Great Lakes Worksheets includes a Great Lakes Map (and key), Great Lakes Animals, and a Great Lakes Fun Facts page (and key). 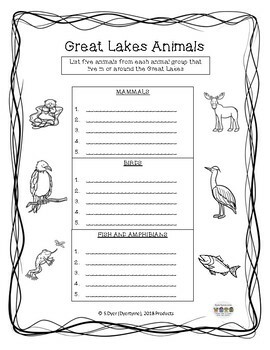 These can be used separately within a curriculum study of the Great Lakes or as a small unit. 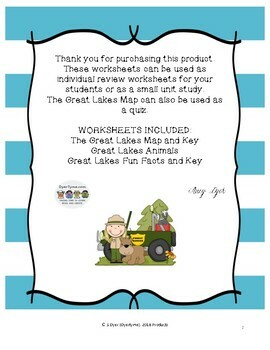 There are 3 worksheets with answer keys. They can be used in the classroom or in a home study. 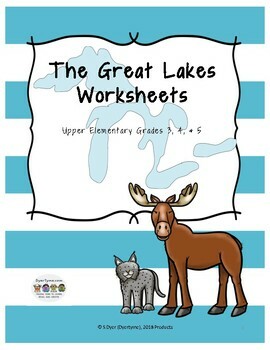 Best for grades 3-5.